Finally the MessagEase keyboard is available for everyone! This is a very special keyboard that perfectly combines the usual typing experience with few other swipe gestures allowing you to get rid of all your classical typos. 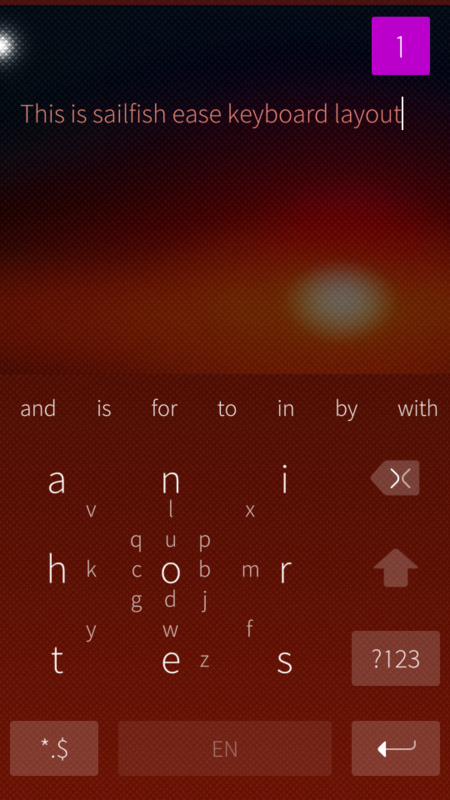 This keyboard was originally ported (from scratch AFAIK) by Jimmy Huguet on SailfishOS, you can find in his repo on GitLab, but this version was modified in order to properly work with jolla-keyboard. Now i was finally able to create an independent layout, that does not need patching anymore. So i have consider this a fully featured fork of Jimmy Huguet keyboard. Source code here, Hugs and feedbacks are welcome! to input "a", just tap on "a"
Special characters are available but not shown by default, you can tap the bottom left key "*.$" to make them appear. Numbers are available by pressing the "?123" key on the right. Thanks also to Dagi for the Norwegian layout and to all others community members for sharing their language layout! Fantastic! 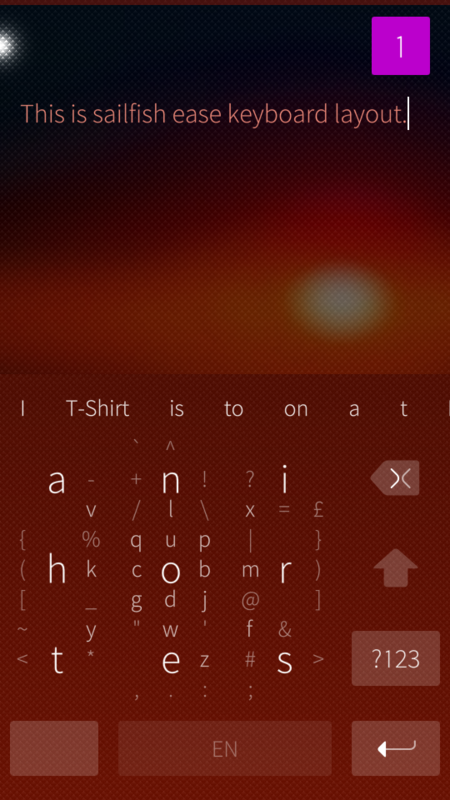 The Ease keyboard layout was unusable after Jolla introduced the "swipe to change layout"-function on Sailfish 3. Thanks a bunch for patching this! Sorry, I thought that text prediction was working. I doesn't, so no support yet. Well, i know nothing about chinese alphabet. As long as it can be mapped in a grid 9x9 (81 chars including symbols) it is potentially possible. Text prediction relies only on the Xt9inputhandler, which is present only in official devices, therefore it does not depend on this keyboard.